Discussion in 'Shipyard' started by refirendum, Apr 5, 2014. The RF-38B Hibiscus has basic functionality. 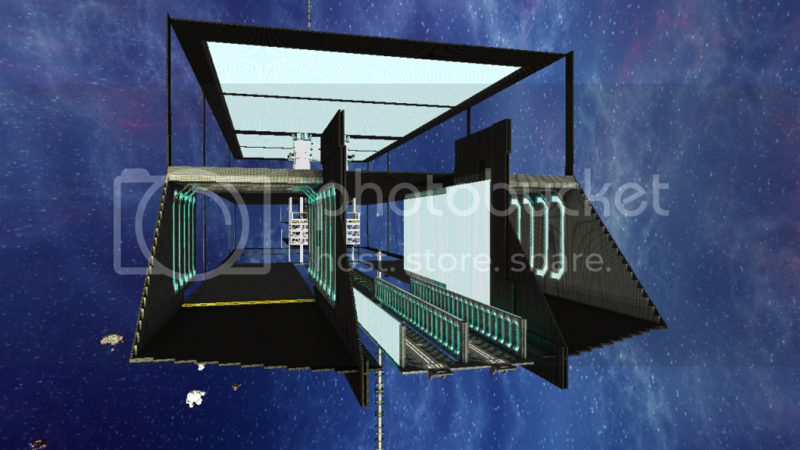 It is equipped with multiple ingress/egress hangars that can house up to 4 small craft. It has ample cargo storage space, and observation decks, a mutli-floor crew residency area, and a decent array for armament. It is suited for defense against smaller craft and a support role for larger craft. As it is aimed towards long term deployment, it has a well equipped living area with secondary and tertiary airlocks in case of emergency and has three fully functional elevators in total, two fore, one aft. The starvane engine technology has been refined to slim down its forward profile, and give more space for outboard mounted weaponry all powered by the starvane generator arrays embedded within. While it has decent thrust, it is an orbital-only craft, and has not enough thrust for escape velocity, and its power system cannot sustain maximum thrust indefinitely. The Cattelya was originally a semi-military duty ship, but in this updated iteration, it is an exploration craft and scouting ship. Equipped with escape pods on its underside and a small hangar for small shuttles, it's got ample flexibility. 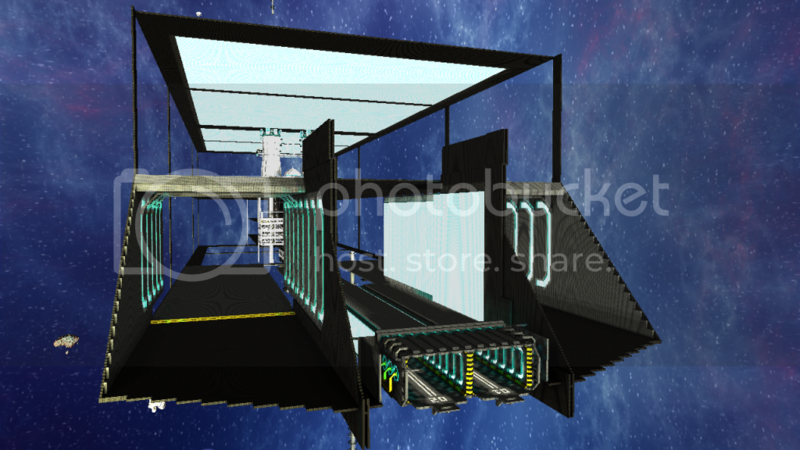 It has a medical bay and cryogenics bay as well as an updates weapons array. with its reduced mass, and upgraded turrets, it's fairly quick for its size and can hold its own in a hasty retreat. The Cattelya II is the second Cattelya-class ship coming in at 140 meters long. It is equipped for turret warfare using 6 Lotus turrets, and has a respectable 1:1 thrust to mass ratio (not including rail entities). Named after its predeccesor, the RF-17 Cattelya, the Cattelya II promises ample offensive and defensive strength at a better price to performance ratio than its older sibling. Named after the floral species known as the white egret, the RF4 Pearl Egret is an elegant fighter, yet does not sacrifice its durability to the altar of artistry. It is a tough, hardy vessel, able to take a few hits from similarly sized craft, and keep flying. It is an endurance-fighter, and has a decent thrust-mass ratio to further enhance its endurance through maneuverability. 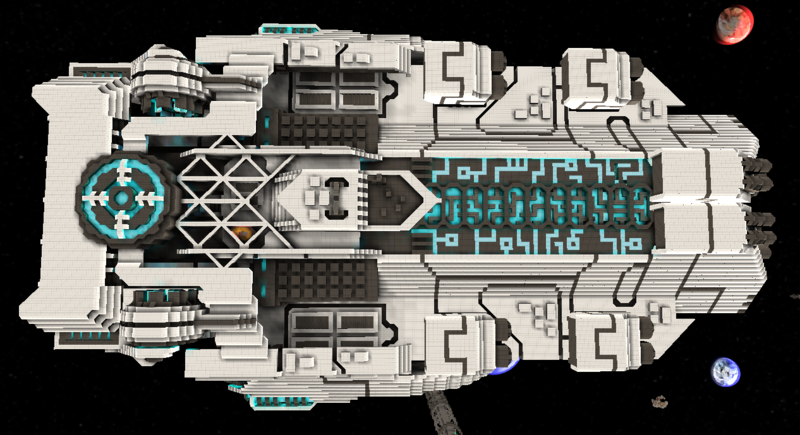 Mounted on each stub-fin are turrets that are meant to be the primary source of damage, though the main ship's weapons are adequate as well. It has actuated landing gear and entry/exit doors. It can crew 1 person, and has basic accommodations for short flights. The Super Egret is a beefed up Pearl Egret with a focus on speed and firepower. Don't let that fool you into thinking it's a ship made of tissue paper. It has a decent featureset including rail doors, rail-actuated landing gear, docked boosters, overdriven system, four turrets, amenities for its crew, and shield supply beams to combat shield-regen reduction during combat. 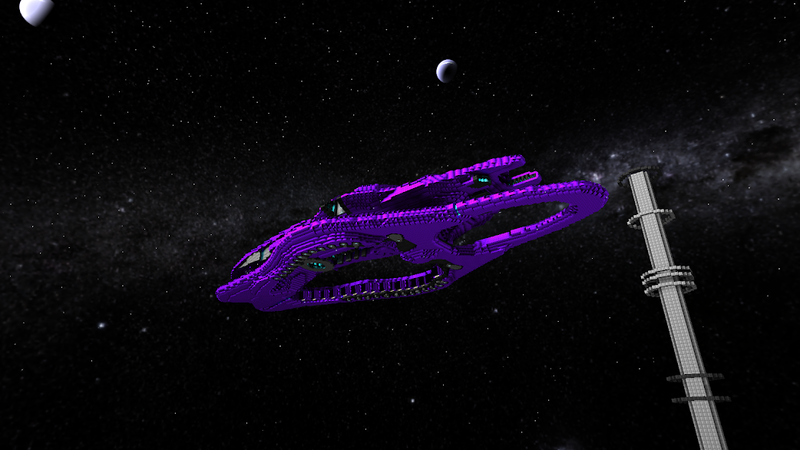 Features include a main gun, a point defense turret array, self-sustaining petals with energy and shielding, anti-fighter turret array, and a functioning Hyperbloom missle array. Built for carrier duty, the Rosemary short range scout fighter is relatively inexpensive and is nimble enough to scout high-risk sectors of space. Best used in large numbers, the Rosemary carries two small turrets for light defensive weaponry. Ahhhh, splendorous! I do love the designs of these ships, it is nice to see somoene tackling curves with such success! They are works of art all (even the old one). You make a compelling argument, I will do so. keep up the good work and can i join the SSS? @ BLT, SSS is open to all builders who wish to improve their building or have a peaceful faction to build within or both. Ref, I'd sign the Faustian contract with my own blood without a moment of hesitation for half your talent. The small-ship catapaults and the staging/queing deck of the spaceport along with the large-ship catapaults in progress. This is the beginning stages of Calatheas city. Nice style for the catpults. How big are those, btw? Also, how big is your city-ship going to get? wow impressive as ever ref keep up the good work! Are they going to be pulsator powered? please tell me they are going to be pulsator powered? 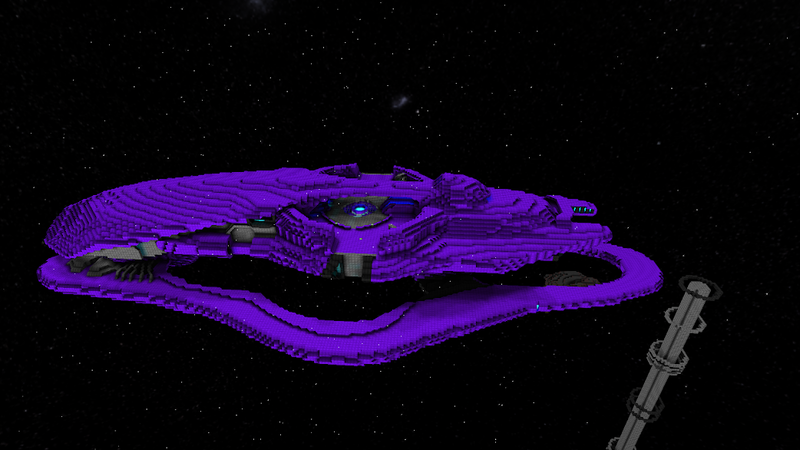 Kij Shipworks - Now featuring the KS-CT1 Haligar!